We offer fast, effective repairs that you can rely on and can solve any gate-related issue, from a broken opener or intercom system to dented tracks. Whether you're in need of emergency repair work or your gate has picked up some worrying problems, we can help. Whether you’re a business or home owner, a broken gate can be a massive inconvenience. We understand how essential it is to receive a quick repair service when something goes wrong. For this reason, our technicians work hard to carry out lasting repairs both quickly and efficiently. What's more, we won’t just address the obvious issues, our team will find out what caused the problem in the first place, and ensure any underlying malfunctions have been addressed. Automatic gates are complex machines, and there’s a lot that can go wrong. We offer solutions for a wide number of problems, and our range of services includes both intercom and opener services. 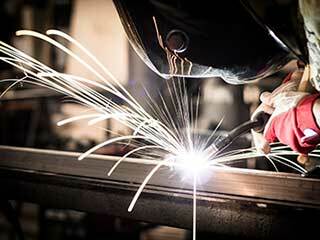 We also provide solutions for all sorts of hardware problems, including track repair and hinge welding. If a component of your gate has been damaged beyond repair, our technicians will be able to replace the part on the spot. We stock a large selection of replacement components for all makes and model of door. This allows us to return your gate to good working condition as soon as possible, minimizing disruption to your daily routine. If your business’s gate system fails, it can be costly. If employees can’t get to work you’ll lose productivity, and if deliveries can’t run to schedule, there's a risk you lose money. We offer fast, effective repair services that get your system working again quickly so that you can get back to doing what you do best. If your gate has broken down, or if it’s showing signs of wear and tear, you need the help of our expert technicians. Contact Garage Door Repair New Rochelle today to find out how we can help you.